Barbara Frawley, 68, Australian actress ( Dot and the Kangaroo ).  .
Riet van Grunsven, 85, member of the Dutch Resistance during World War II. Mian Ghulam Jilani, 91, Pakistan Army officer, died at his home in Fairfax, Virginia on 1 March 2004. Leon Katz (physicist), 94, Canadian physicist. Costas Montis, 90, Cypriot poet, novelist, and playwright, tuberculosis. Gilbert Plass, 83, Canadian physicist. Johnny Walker (DJ), 55, American radio personality, lung cancer. Barbara Anne Frawley was an Australian character actress and voice artist. Dot and the Kangaroo is a 1977 Australian film which combines animation and live-action. It is based on children's literature book Dot and the Kangaroo by Ethel Pedley. William J. Bouwsma, 80, American historian. 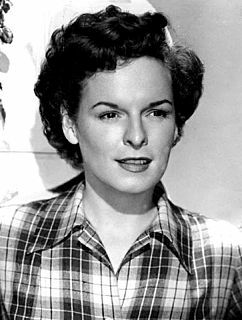 Mercedes McCambridge, 85, American Academy Award winning actress. William James Bouwsma was an American scholar and historian of the European Renaissance. He was Sather Professor of History Emeritus at the University of California Berkeley and president of the American Historical Association (AHA) in 1978. Carlotta Mercedes Agnes McCambridge was an American actress of radio, stage, film, and television. Orson Welles called her "the world's greatest living radio actress." She won an Academy Award for Best Supporting Actress for All the King's Men (1949) and was nominated in the same category for Giant (1956). She also provided the voice of Pazuzu in The Exorcist (1973). Margaret Carolyn Unnewehr Schott was the managing general partner, president and CEO of Major League Baseball's Cincinnati Reds franchise from 1984 to 1999. She was the third woman to own a North American major-league team without inheriting it, and the second woman to buy an existing team rather than inheriting it. She is perhaps most well known for her controversial behavior during her tenure as owner of the Reds, which included slurs towards African-Americans, Jews, and persons of Japanese ancestry. She was banned from managing the team by MLB from 1996 through 1998 due to statements in support of German domestic policies of Nazi party leader Adolf Hitler; shortly afterwards, she sold the majority of her share in the team. Cecily Adams, 46, American actress. Susan Moller Okin, 57, New Zealand liberal feminist political philosopher. Luis Villalta, 35, Peruvian professional boxer. Cecily April Adams was an American actress, casting director, and lyricist. Susan Moller Okin, was a liberal feminist political philosopher and author. Muniswamy Rajgopal was an Indian field hockey player. This Olympic gold medal winner in 1952, Helsinki, was the first Olympic winner for Karnataka. A member of the undivided Indian team that toured East Africa in 1945, Rajagopal was renowned for his prodiguous stickwork skills and hence rightly called the "Artful Dodger". Having made his mark on that tour of East Africa under the legendary Dhyan Chand, Rajagopal moved from strength to strength in his reputation as a remarkable play-maker on the left flank. Jake Hancock, 75, British geologist. Arthur Kinsella, 86, New Zealand politician, Minister of Education (1963–1969). John McGeoch, 48, British guitarist ( Magazine , Siouxsie and the Banshees and PiL ). Claude Nougaro, 74, French songwriter and singer. Sir Malcolm Pasley, 77, British literary scholar. Halina Perez, 22, Filipina actress. Meryle Fitzgerald [LeClaire] was a pitcher who played in the All-American Girls Professional Baseball League. Fitzgerald batted and threw right handed. She was dubbed 'Pinkey' by her teammates. John Michael Hancock (1928–2004), known professionally as Jake, was a geologist with particular interests in chalk and the Cretaceous Period. Carlos Julio Arosemena Monroy, 84, Ecuadorian politician, President (1961–1963). Percy Browne, 80, British MP, jockey and farmer. Julito Collazo, 78, Cuban Master Percussionist. Stanisław Musiał, 65, Polish priest. Mike O'Callaghan, 74, American politician, Governor of Nevada (1971–1979). Carlos Julio Arosemena Monroy was Ecuadorian politician. Arosemena Monroy was elected as Vice President of Ecuador in 1960 and due to the ousting of President José María Velasco Ibarra, became President of Ecuador from 7 November 1961 to 11 July 1963. Percy Basil Browne was an English businessman, farmer, amateur jockey and Conservative Party politician. He was Member of Parliament for Torrington from 1959 to 1964. Julio "Julito" Collazo was a master percussionist. Eugene T. Booth, 91, American nuclear physicist. Frances Dee, 94, American actress. Ray Fernandez, 47, American professional wrestler best known as "Hercules Hernandez" or simply just "Hercules". Sir Alexander Glen, 91, Scottish explorer and businessman. Alan Short, 83, American California legislator, co-author of the Short-Doyle Mental Health Act. John Henry Williams, 35, American controversial son of baseball great Ted Williams. Nicolae Cajal, 84, Romanian physician and politician. George Thompson, 78, British footballer. Paul Winfield, 62, American Emmy-winning actor. Sivaramakrishna Chandrasekhar, 73, Indian physicist. Robin Hunter, 74, British actor. Muhammad Zaidan (aka Abu Abbas), 55, Palestinian nationalist, founder of Palestine Liberation Front. Rust Epique, 35, American songwriter and guitarist. Tony Lee, 69, British jazz pianist. Albert Mol, 87, Dutch author, dancer, cabaret performer, actor, TV personality. Herbert Choy, 88, American federal judge. Jack Creley, 78, American-born Canadian actor. Philip Arthur Fisher, 96, American stock investor and author of Common Stocks and Uncommon Profits. Seymour Geisser, 74, American statistician, DNA-evidence expert. Adrian Ropes, 62, English television actor. J. Minos Simon, 82, American author, aviator and attorney. Edmund Sylvers, 47, American lead singer of The Sylvers, lung cancer. Finn Carling, 78, Norwegian author and playwright with cerebral palsy. Yvonne Cernota, 24, German bobsled driver, in training accident. Cid Corman, 79, Japan-based American poet and translator. Bates Lowry, 80, American art historian and museum director. Sir William Wade, 86, British legal scholar. Sydney Carter, 88, British musician and poet. Chen Hansheng, 107, Chinese sociologist. Franz König, 98, Austrian cardinal. Dullah Omar, 69, South African cabinet minister. Alishan Bairamian, 89, Armenian-American intellectual, historian, and author. Siradiou Diallo, 67, Guinean journalist and politician, cardiac arrest. Martin Emond, 34, New Zealand cartoon illustrator and painter, suicide by hanging. Norb Hecker, 76, American football player. René Laloux, 74, French animator and film director, heart attack. Amparo Arrebato, 59, Colombian dancer. George Briggs, 93, British Anglican prelate, first Bishop of The Seychelles. Patrick Nuttgens, 74, British architect. Brian Bianchini, 25, American fashion model. Kraft, Prince of Hohenlohe-Langenburg, 68, German prince. Vilém Tauský, 94, Czech conductor and composer. Rachel Hudson, British domestic abuse victim, murdered. J.J. Jackson, 62, American radio and television personality, former MTV video jockey. Vytas Brenner, 57, Venezuelan musician, keyboardist and composer. Wallace Davenport, 78, American jazz trumpeter. Richard Marner, 82, Russian-born British actor. Harrison McCain, 76, Canadian businessman, founder of McCain Foods. Brian Maxwell, 51, Canadian long-distance runner and founder of PowerBar. Sir Horace Phillips, 86, British diplomat. Guillermo Rivas, 76, Mexican comedy actor. Ted Walker, 69, British poet and dramatist. Scott Fraser, 33, Canadian professional racing driver. Charles Harold Haden II, 66, American jurist. Chosuke Ikariya, 72, Japanese comedian, actor and leader of comedic group The Drifters. Juliana, 94, Dutch Royal, former Queen of the Netherlands. Mirwais Sadiq, Afghan politician, Civil Aviation Minister for Afghanistan. John C. West, 81, American politician and diplomat. John Bradley, 86, Canadian physician. Peter Jackson, 73, British rugby union player. David Oates, 77, British archaeologist. Sheikh Ahmed Yassin, 67, Palestinian spiritual leader and founder of Hamas. Rupert Hamer, 87, Australian politician, heart failure. Otto Kumm, 94, German divisional commander in the Waffen-SS during WWII. L. S. Stavrianos, 91, Greek-Canadian historian. Andrew Veniamin, 28, Australian criminal, shot. Chen Zhongwei, 74, Chinese surgeon. Dominic Agostino, 44, Canadian politician, Ontario Liberal MPP. Michael Garrison, 47, American ambient musician, liver failure. Fernando da Costa Novaes, 76, Brazilian ornithologist. Jan Berry, 62, American musician, the 'Jan' of Jan and Dean. Sir David Griffin, 88, Australian lawyer, businessman and politician. Clayton Matthews, 85, American writer. Kristine Vetulani-Belfoure, 79, Polish teacher and writer, heart failure. Takeshi Kamo, 89, Japanese footballer. Bertrand de Montaudoin, 79, French Olympic modern pentathlete. Colin Sutton, 65, British police officer. Zhang Haoruo, 72, Chinese politician, Governor of Sichuan. Einar Magnussen, 72, Norwegian economist and politician. Robert Merle, 95, French author. Lionel Sackville-West, 6th Baron Sackville, 90, British stockbroker and aristocrat. Larry Trask, 59, American–born British linguist and expert on the Basques. Kenneth Edward Untener, American Roman Catholic perelate, Bishop of Saginaw. James Wapakhabulo, 59, Ugandan politician, foreign minister of Uganda. Percy Beames, 92, Australian sportsman and journalist. Lise de Baissac, 98, Mauritian-born British Special Operations Executive agent. Erich Hauser, 73, German sculptor. Art James, 74, American game show host and announcer. David Robinson, 75, Irish horticulturist. Adán Sánchez, 19, Mexican singer, car accident. Ljubiša Spajić, 78, Yugoslavian football player and manager. Sir Peter Ustinov, 82, British actor. Chen Yi-hsiung, Taiwanese failed assassin in the 3-19 shooting incident. Colin Smith, 69, English jazz trumpeter. Alistair Cooke, 95, British-born American BBC broadcaster and transatlantic commentator. Erick Friedman, 64, American concert violinist, violin professor at Yale University. Hubert Gregg, 89, English BBC broadcaster. Michael King, 58, New Zealand historian. René Gruau, 95, Italian fashion illustrator. Hedi Lang, 72, Swiss politician, first woman to preside over the Swiss National Council. Sir John Warburton Paul, 88, British colonial administrator. ↑ "Barbara Frawley". IMDb. Retrieved 2017-12-13. ↑ Goldstein, Richard (2004-03-03). "Marge Schott, Eccentric Owner of the Reds, Dies at 75". The New York Times . Retrieved 2019-02-10. ↑ Muniswamy Rajagopal, Sports-Reference / Olympic Sports. Retrieved 2019-02-06. ↑ "Drake Sather TV, film scribe". Variety . 2004-03-16. Retrieved 2019-02-09. ↑ "Meryle LeClaire". All-American Girls Professional Baseball League . Retrieved 2019-04-02. ↑ Markoff, John (2004-03-11). "George Pake, Computer Pioneer, Dies at 79". The New York Times . Retrieved 2019-02-04. ↑ Norwich, William (2004-03-05). "Stephen Sprouse, Design Pioneer, Dies at 50". The New York Times . Retrieved 2019-02-18. ↑ Sandomir, Richard (2004-03-08). "Val Pinchbeck, 73, Former Head Of Broadcasting for the N.F.L." The New York Times . Retrieved 2019-02-05. ↑ "Professor Keith Hopkins". 2004-03-17. ISSN 0307-1235 . Retrieved 2017-12-13. ↑ The Associated Press (2004-03-10). "Robert Pastorelli, 49, Actor On 'Murphy Brown' TV Series". The New York Times . Retrieved 2019-02-05. ↑ Martin, Douglas (2004-03-13). "Coleridge-Taylor Perkinson, Versatile Musician, Dies at 71". The New York Times . Retrieved 2019-02-05. ↑ "Don Smith". Basketball-Reference.com. Retrieved 2019-02-17. ↑ The Associated Press (2004-03-12). "Robert D. Orr, 86, Governor Who Revamped Indiana Schools". The New York Times . Retrieved 2019-02-04. ↑ "James Parrish". Pro-Football-Reference.com . Retrieved 2019-02-05. ↑ Hansjörg Schlager, Sports-Reference / Olympic Sports. Retrieved 2019-02-10. ↑ The Associated Press (2004-03-13). "Dave Schulthise, 47, Dead Milkmen's Bassist". The New York Times . Retrieved 2019-02-10. ↑ Wright, Pearce (2004-03-25). "David Shoenberg". The Guardian . Retrieved 2019-02-14. ↑ Sylvi Saimo, Sports-Reference / Olympic Sports. Retrieved 2019-02-09. ↑ Markoff, John (2004-03-16). "John W. Seybold, 88, Innovator in Printing". The New York Times . Retrieved 2019-02-14. ↑ Landsberg, Mitchell (2004-03-17). "Chuck Niles, 76; Voice of L.A.'s Jazz Radio". Los Angeles Times . Retrieved 2019-02-04. ↑ Wilford, John Noble (2004-03-17). "William H. Pickering, 93, Leader in Space Exploration, Dies". The New York Times . Retrieved 2019-02-05. ↑ Wright, Pearce (2004-03-19). "Sir John Pople". The Guardian . Retrieved 2019-02-05. ↑ Pearce, Jeremy (2004-03-20). "J. W. Streilein, 68, a Researcher On Eye Tissue Transplants, Dies". The New York Times . Retrieved 2019-02-18. ↑ Shamseddin Seyyed Abbasi, Sports-Reference / Olympic Sports. Retrieved 2019-02-14. ↑ "Bernie Scherer". Pro-Football-Reference.com . Retrieved 2019-02-09. ↑ Berger, Ralph. "Gene Bearden". Society for American Baseball Research . Retrieved 2019-02-03. ↑ "The Hon. Mitchell William Sharp, P.C., C.C." Parliament of Canada . Retrieved 2019-02-14. ↑ Ladislaus Simacek, Sports-Reference / Olympic Sports. Retrieved 2019-02-15. ↑ Jean-François Ravelinghien (in French) French Swimming Federation. Retrieved 2019-02-06. ↑ "The Hon. Joseph Pierre Albert Sévigny, P.C., O.C., C.D., V.M." Parliament of Canada . Retrieved 2019-02-14. ↑ Cowe, Roger (2004-04-19). "Sir Austin Pearce". The Guardian . Retrieved 2019-02-05. ↑ "Robert Snyder, 88; Documentarian". Los Angeles Times . 2004-03-22. Retrieved 2019-02-17. ↑ Fred Sharaga, Sports-Reference / Olympic Sports. Retrieved 2019-02-14. ↑ "ROUSH, John Edward, (1920 - 2004)". Biographical Directory of the United States Congress . Retrieved 2019-02-07. ↑ Malnic, Eric (2004-03-27). "Jan Sterling, 82; Won Golden Globe for 'The High and the Mighty'". Los Angeles Times . Retrieved 2019-02-18. ↑ Nowlin, Bill. "Bob Cremins". Society for American Baseball Research . Retrieved 2019-02-03. ↑ Martin, Douglas (2004-03-30). "Edward J. Piszek, 87, Dies; Founded Mrs. Paul's Brand". The New York Times . Retrieved 2019-02-05. ↑ Lehmann-Haupt, Christopher (2004-03-31). "John Sack, 74, Correspondent Who Reported From Battlefields". The New York Times . Retrieved 2019-02-08. ↑ "Al Cuccinello". Baseball-Reference.com . Retrieved 2019-02-03.